While school marketing has certainly evolved by leaps and bounds in recent years, marketing automation is still a somewhat unfamiliar concept for educators and the term has yet to become a buzzword in most school circles. What is it and why does your school need it? Should your school invest in marketing automation? You and your school may have only been introduced recently to inbound marketing and all its related buzzwords: Buyer Personas, Calls-To-Action (CTA’s), Search Engine Optimization (SEO), and Backlinks, just to name a few. That’s already a lot of terms and approaches to grasp and to master. Before we jump into whether you should consider marketing automation for your school, let’s first define it and understand how it works. Marketing automation refers to the software tools that are created to automate repetitive marketing tasks, like sending out emails, executing functions on social media and your website as well as through mobile. Take, for example, email marketing. With marketing automation, recipients who were once blasted with impersonal, potentially irrelevant, and downright annoying promotional emails now have the opportunity to receive personalized, relevant messages right when they need them. Today’s marketing automation tools are effective because they follow inbound marketing principles, the goal being to nurture your leads through their buyer’s journey by providing them with the right content at the right time through each stage. Marketing automation tools can also relieve staff members of monotonous tasks and reduce the amount of time and energy required to send out personalized messages and follow up with enrollment leads. Employing these tools can free them up to perform their other tasks more efficiently. While automation can be beneficial, it does not mean that all of your marketing tasks should be automated. Marketing automation needs both the technology to run it and a well-thought-out plan on how to use it. While software tools are usually self-explanatory in terms of usage, the concepts behind it need to be studied and understood. Does your school have a marketing plan based on inbound marketing principles? Are you engaging in tasks designed to lead your enrollment prospects through the Buyer’s Journey? Are you facing challenges in carrying out any of these tasks or want to improve your efficiency in executing any of them? What tasks would make sense to automate? Your answers to these questions can help you create the ideal marketing automation strategy for your school. Take note that marketing automation is fundamental to a successful inbound marketing strategy. And effective marketing automation relies on an understanding of inbound marketing as well as a working knowledge of buyer personas and the buyer’s journey. The first step is to know your audience (buyer persona) and where they are in their buyer’s journey. 1. Segment your contacts list according to where they are on their buyer’s journey. 2. Assign your crafted messages to specific segments. 3. Send out your crafted messages. 4. Schedule delivery of messages. These are just some of the basic functions you can have your tool automate for you. Depending on your goals and resources, you can also choose to add conditions and triggers that make for more elaborate actions. These are known as workflows, which are a series of automated functions which can be triggered to activate based on a contact’s behavior. We will discuss Workflow Automation in another blog. In considering what benefits marketing automation can offer your school, ask yourself how much value you place in saving time, effort, and resources in your school marketing. Whether you want your marketing campaigns to operate faster or you want to offload your staff of repetitive tasks, marketing automation will manifest its benefits via an increase in work productivity and overall results. Think about how long it takes your staff to send personalized messages to your various audiences. It could take hours or even days. Next, imagine how much time it would take to convey this same message through multiple channels. It could take seemingly forever. Marketing automation speeds up the process of engaging with your audiences on multiple channels, allowing you to send messages to several social media platforms in a much more quick and efficient manner. In the buyer’s journey, marketing automation plays an essential role in the “convert” and “close” stages. In fact, its best contribution occurs during these stages when it's critical to get the right message out at the right time. Employing marketing automation can increase the number of qualified enrollment leads, produce more conversions, and generate more revenue for your school. Empower your staff by eliminating those repetitive tasks and allowing them to focus on performing strategic, valuable functions. Whether they interact with your automation tool or not, they can direct their time and energy to efforts that are more beneficial to your school. This will also increase their morale and help avoid burnout. Think of how much time you’ll save if you could automatically send out a series of emails to your audiences’ inquiries and applications. And we’re not just talking about stock messages. These are personalized, highly relevant, and of very high quality. This level of school marketing is what can trigger high engagement levels from your recipients, especially after they receive exactly what they need at the right time in their buyer’s journey. The faster you send out your messages to the right people, the faster you can achieve your conversions. As your automation tool handles more tasks, this doesn’t necessarily mean you have to fire personnel once you get your automation tool up and running. It only means you’re adding more value to your existing staff. Whether they’re involved with operating the tool or not, they now have time to devote to more worthwhile responsibilities. If you only have a handful of personnel, then you have all the more reason to adopt marketing automation. You won’t have to add more staff since current ones can be taught how to utilize the tool. Automation also presents a chance for them to engage more people, more often. Marketing automation also allows you to ensure you’re targeting the right people. In segmenting your contacts, you can define settings and automatically move them from one segment to the next as needed. This guarantees that you’re sending them the right messages based on where they are on their buyer’s journey. You will also be able to avoid losing contacts because of ill-timed, generic email blasts that have the potential to drive them away. 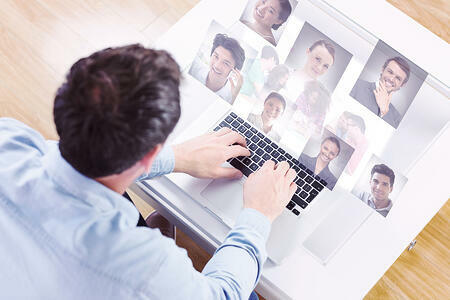 Your automation software tool can help manage your contacts. By keeping a record of a contact’s responses to you, you have an overview of their behavior. This can help you as they move through their buyer’s journey, allowing you to plot out your next course of action via your automated system. You can also measure how your marketing automation system is performing and if you’re reaching your goals. These tools typically possess report generation functions which can help you make adjustments to your campaigns so you can improve results. Now that we’ve listed the possible benefits of marketing automation for your school, the bigger question to deliberate with your staff is whether you really need to automate. Does Your School Need It? The fact is, marketing automation is becoming an essential tool for every marketing strategy, including those for schools. It won’t do the marketing for you, but it will carry the load of your increasing enrollment leads base. If your inbound marketing efforts are generating more and more leads, then it’s not only a good sign that your school is thriving, but it’s also telling you that it’s time to scale up. It’s no longer a question of whether you need it, but more of “when you need to”. Whether you have several people or only a few select staff members that handle marketing or admissions, marketing automation promotes efficiency either way. A guaranteed steady flow of leads will need to be processed at a quick pace. 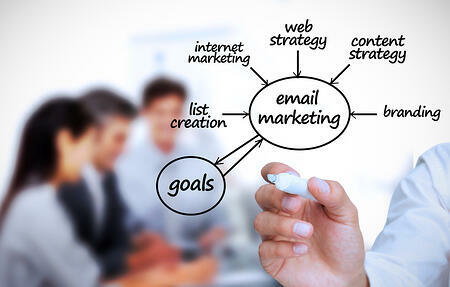 And nurturing your leads so that they’ll be converted into enrollments is the main function of marketing automation. As your number of leads increases, both the automation tool and your staff will be able to handle it without burning out. On the downside, apart from the extra costs, marketing automation software also has a steep learning curve. If you don’t have dedicated, trained staff that can operate it successfully, instead of being able to maximize your tool’s use you will simply be wasting precious school resources. On the assumption that you’ve started on your path to learning about inbound marketing, then you’ve taken the first step to a modernized approach to school marketing. And, if you consider the big potential that marketing automation can offer your school, then you’re already exploring the enormous possibilities of a fully-realized inbound strategy. Marketing automation has the potential to accelerate your conversion processes and increase your staff’s productivity, which will only lead to more positive results for your school. If you wish to learn more about marketing automation tools, contact us now by clicking on the banner below.